Here's the rare-but-affordable card from the poll "Would you keep a counterfeit card?" Bazooka created two issues in 1971, one readily available set without numbers, and a limited proof run with "No. X of 48 cards" on the bottom. 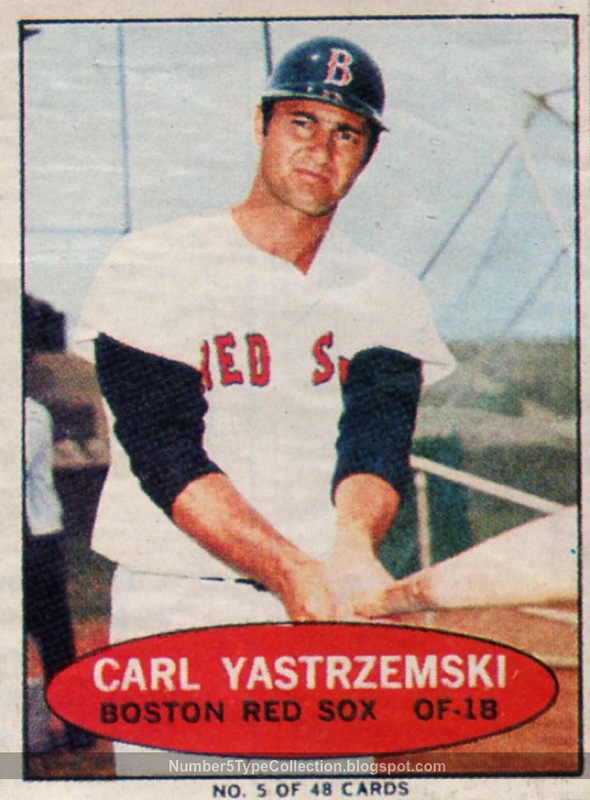 As mentioned there, a few problems stand out for this Yaz. 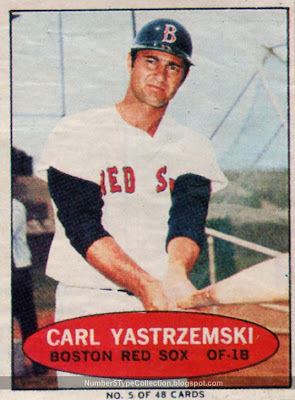 Fakes / Reprints: Indeed, this is probably not the only 1971 Bazooka Numbered card of questionable provenance out there. Be aware!